What’s Next in Hong Kong’s Quest for Democracy? HONG KONG—During the run-up to the first anniversary of the Umbrella Movement for democracy in Hong Kong, several student leaders have been notified by the Organized Crime and Triad Bureau of the Hong Kong Police that they would have to face trials for their participation in the movement. The timing of the prosecution suggests that it could well be a strategy. The government is seeking to discourage the Hong Kong people from taking part in protests or other activities to demonstrate their support for the Umbrella Movement and the continued struggle for democracy in the territory. This tactic closely resembles what the mainland Chinese regime does during the April-May period each year before the June 4 anniversary of the Tiananmen Square Massacre. During this period, pro-democracy activists are sent away from Beijing or placed under close surveillance. Eighteen years after Hong Kong’s return of sovereignty to China under the “one country, two systems” framework, we have witnessed an erosion of the territory’s core values, including the freedom of expression, the rule of law, social justice, and adherence to and respect of established rules and procedures. The situation has seen rapid deterioration since Leung Chun-ying took over as Hong Kong’s chief executive in 2012. The National People’s Congress Standing Committee made a decision on Aug. 31 last year that would essentially enable the Chinese Communist Party (CCP) to have absolute control over the election results of the Hong Kong chief executive. This political reform proposal was vetoed at the Hong Kong Legislative Council on June 17 this year. The Aug. 31 decision made it clear to the Hong Kong people that the CCP has no intention whatsoever to grant genuine democracy to Hong Kong, and it actually sowed the seed for the Umbrella Movement. Following the clampdown on the movement, the pan-democrats have yet to come up with any concrete ideas on how to move ahead with Hong Kong’s long road to democracy. Different groups have been toying with ideas ranging from pressing for a revision of the Basic Law to demanding independence. Recently, many civic groups have joined forces to promote the Community Citizen Charter, emphasizing the need to rebuild and fortify the foundation of the democratic movement at the community level. The core concept behind this campaign is that Hongkongers have been fighting for democracy from a position of passivity, relying on making appeals to the authorities and hoping for a positive response. This approach has failed to serve Hongkongers. Therefore, the new movement advocates a proactive, bottom-up approach that fosters and incorporates democratic elements into citizens’ daily lives. 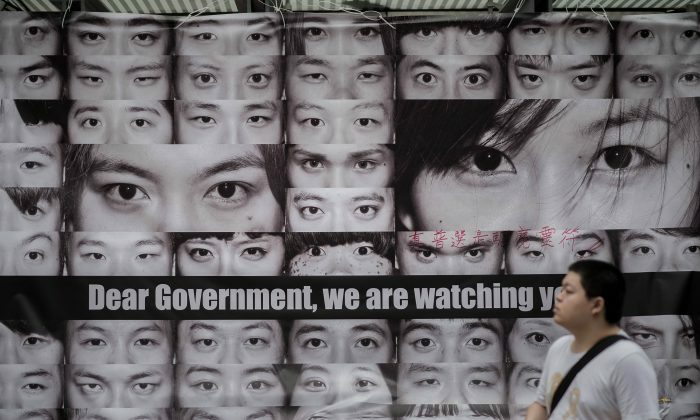 While the CCP is doing everything it can to tighten its grip on Hong Kong, the movement can unite the Hong Kong people on a continual basis to ward off these malicious acts. It is too early to predict how the movement will evolve and whether it will bring any success. However, it is definitely a worthwhile effort that deserves city-wide support.